This Agreement governs the relationship between VoicesUK and the user (the “Client”) which may be either a voice talent selling their services, or a client purchasing the services of a voice talent. VoicesUK: The Client will have access to the various services made available to Clients as part of the VoicesUK online services (the “Services”) from time to time, consistent with the level of service purchased by the Client. Fees: a) Client will pay VoicesUK its standard fees set out on the VoicesUK web site from time to time for the level of service selected by the Client. VoicesUK may change its standard fees or levels of service at any time, provided that such changes will not commence earlier than the end of the then current Term. Clients purchasing voice talent will pay the fees it agrees to pay the voice talent for each assignment, plus a 20% administration fee for VoicesUK. All fees are payable in advance. 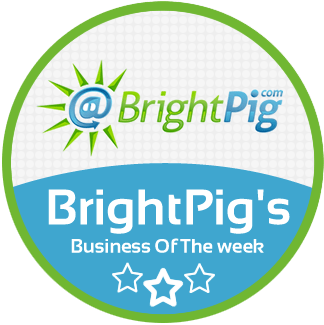 Unless otherwise instructed by the Client, periodic Services will be automatically renewed for a term equivalent to the prior term with payment being billed to the Client by VoicesUK by the same method as before (e.g. credit card, PayPal, or invoice). All payments paid are not refundable absent default by VoicesUK.b) Joining VoicesUK takes the form of a one-time administration fee, £99.99. A 6-month trial option is also available for £49.99 with all the same benefits of the unlimited plan, but for six months. The one-time administration covers showcase setup and membership to the site for the lifetime of VOICESUK Ltd. Submitting proposals or soliciting clients identified on VoicesUK to contact, hire, manage or pay outside the Site. Accepting proposals from or soliciting voice talent identified on VoicesUK to contact, deliver voice talent work, invoice, or receive payment outside VoicesUK. Invoicing or reporting on VoicesUK an invoice or payment amount different than that agreed between client and voice talent. Term: This Agreement will commence when the Client registers on VoicesUK. If the Client has already registered, this Agreement will come into effect and replace the previously existing Subscription and User Agreement when this Agreement is posted on VoicesUK. The Term will continue for the term specified at the time of registration, unless renewed by the client or unless terminated by either party as permitted by this Agreement. If this Agreement or the Services are terminated, VoicesUK will provide the Client with 30 days to retrieve any material it has placed on the VoicesUK website. Ownership: The contents of the VoicesUK website are owned by and copyrighted by VoicesUK or other parties posting material and contains trade-marks of VoicesUK and others. Material on the VoicesUK website may only be copied or reproduced to the extent explicitly permitted. VoicesUK has no ownership interest in any Client data, trade-marks or other content the Client places on the VoicesUK website. The Client hereby licenses same to VoicesUK only to the extent required to provide the Services. Support: VoicesUK will provide support and training to the Client for its use of the Services as reasonably required. Support and training will be primarily through the use of web based tools. Support does not include any changes or customisations. Default: VoicesUK may immediately terminate this Agreement or suspend the Client’s access to the Services without notice upon the occurrence of any of the following events: (a) Client fails to make any payments when due; (b) Client fails to comply with any provision of this Agreement; (c) Client attempts to assign, sub-license, or otherwise transfer any of its rights under this Agreement without the consent of VoicesUK; or (d) Client files an assignment in bankruptcy or is or becomes bankrupt and/or insolvent, upon the appointment of a receiver for all or substantially all of the property or assets of the Client, upon the making of any assignment or attempted assignment for the benefit of creditors or on the institution by Client of any act or proceeding for the winding up of its business. Client Responsibilities: The Client is responsible for all activity it conducts using the Services. The Client will abide by all applicable laws relating to its use of the Services. The Client will not use the Services for purposes proscribed by VoicesUK from time to time, including without limitation illegal or inappropriate purposes; sending spam; perpetration of security breaches; hacking; privacy breaches; fraudulent activity; distribution of viruses or other harmful code; transmission, distribution or storage of any material protected by copyright, trade-mark, trade secret or other intellectual property right without proper authorization, or material that is obscene, defamatory, fraudulent, infringing or abusive; any unauthorized access, alteration, theft, corruption or destruction of files, data, transmission facilities or equipment; or to interfere with any other person’s use and enjoyment of the VoicesUK website. VoicesUK does not routinely monitor all material placed on the Services, but may in its discretion delete or modify any material offending the above that comes to its attention.VoicesUK may limit the amount of storage space used by individual Clients for audio files if in its discretion the amount used is excessive. The Client will abide by any VoicesUK policies adopted by VoicesUK from time to time regarding the Services. The Client will provide VoicesUK with compete and accurate contact and billing information and update as it changes. The Client’s access to the Services requires usernames and passwords. It is the Client’s responsibility to protect that information, including without limitation, to use effective passwords that are not easily guessed or discoverable, and keep login ID’s and passwords confidential. The Client will report to VoicesUK immediately after its discovery of any compromise of its passwords or suspected unauthorized use of the portion of the Services under its control. Service Levels: VoicesUK will use commercially reasonable efforts to provide its Services on a continuous basis, subject to reasonable maintenance requirements and matters beyond VoicesUK’s reasonable control. VoicesUK may make changes to its website and/or its Services at any time in its sole discretion without notice. Warranty: THE SERVICES ARE PROVIDED “AS IS”, “WITH ALL FAULTS”, “AS AVAILABLE” AND AT THE CLIENT’S SOLE RISK. 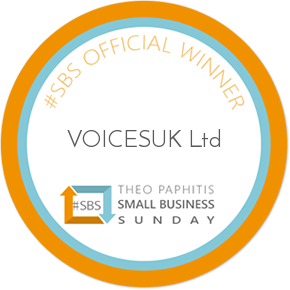 VoicesUK DOES NOT WARRANT THAT ITS WEBSITE OR SERVICES ARE ACCURATE OR ERROR FREE, THAT IT WILL OPERATE WITHOUT PROBLEMS OR WITHOUT INTERRUPTION, OR THAT IT WILL SATISFY THE CLIENT’S EXPECTATIONS. VoicesUK HAS NO RESPONSIBILITY FOR ANY ISSUES THAT ARISE BETWEEN THOSE HIRING VOICE TALENT, AND THE VOICE TALENT. ALL SUCH ACTIVITY, AND ANY ENFORCEMENT, BREACH, TERMS, CONDITIONS, WARRANTIES AND REPRESENTATIONS ASSOCIATED WITH SUCH ACTIVITY IS SOLELY BETWEEN THOSE TWO PARTIES, WITHOUT ANY LIABILITY OR OBLIGATION OF ANY KIND WHATSOEVER BY VoicesUK.THE CLIENT ACKNOWLEDGES THAT VoicesUK MAY PROVIDE PORTIONS OF ITS SERVICES USING SERVICES AND SOFTWARE PROVIDED BY THIRD PARTIES. NOTWITHSTANDING ANYTHING ELSE CONTAINED IN THIS AGREEMENT, VoicesUK’S, AND SUCH THIRD PARTIES’, WARRANTIES AND LIABILITIES FOR ANY MATTERS ARISING FROM SUCH SERVICES AND SOFTWARE SHALL NOT EXCEED THOSE PROVIDED TO VoicesUK FROM SUCH THIRD PARTIES.THE CLIENT ACKNOWLEDGES THAT VoicesUK PROVIDES AND FACILITATES THE VoicesUK WEBSITE, BUT IS NOT RESPONSIBLE FOR ANYTHING PLACED ON THE WEBSITE BY OTHER CLIENTS.ANY THIRD PARTY SITES THAT ARE LINKED TO THE VoicesUK WEBSITE ARE NOT UNDER VoicesUK’S CONTROL. VoicesUK IS NOT RESPONSIBLE FOR ANYTHING ON THE LINKED SITES, INCLUDING WITHOUT LIMITATION, ANY CONTENT, LINKS TO OTHER SITES, ANY CHANGES TO THOSE SITES, OR ANY POLICIES THOSE SITES MAY HAVE. VoicesUK PROVIDES LINKS AS A CONVENIENCE ONLY AND SUCH LINKS DO NOT IMPLY ANY ENDORSEMENT BY VoicesUK OF THOSE SITES OR THEIR OWNERS. VoicesUK HAS THE RIGHT TO REMOVE SUCH LINKS AT ITS SOLE DISCRETION. Limitations: EXCEPT AS OTHERWISE PROVIDED IN THIS AGREEMENT, VoicesUK AND ITS SUPPLIERS EXPRESSLY EXCLUDE AND DISCLAIM ALL EXPRESS OR IMPLIED CONDITIONS, REPRESENTATIONS AND WARRANTIES INCLUDING WITHOUT LIMITATION, ANY IMPLIED WARRANTIES OR CONDITIONS OF MERCHANTABILITY, FITNESS FOR A PARTICULAR PURPOSE, OR NON-INFRINGEMENT TO THE EXTENT APPLICABLE BY LAW.IN NO EVENT IS VoicesUK OR ITS SUPPLIERS LIABLE FOR ANY BUSINESS INTERRUPTION, LOST PROFIT, REVENUE, DATA OR DATA RECONSTRUCTION, OR FOR SPECIAL, INDIRECT, CONSEQUENTIAL, INCIDENTAL, OR PUNITIVE DAMAGES HOWEVER CAUSED, WHETHER IN CONTRACT, TORT, NEGLIGENCE, STRICT LIABILITY, OPERATION OF LAW OR OTHERWISE, EVEN IF VoicesUK OR ITS SUPPLIERS HAVE BEEN ADVISED OF THE POSSIBILITY OF SUCH DAMAGES. THE TOTAL LIABILITY OF VoicesUK, WHETHER IN CONTRACT, TORT, NEGLIGENCE, STRICT LIABILITY, OPERATION OF LAW OR OTHERWISE SHALL NOT EXCEED THE FEES PAID TO VoicesUK BY THE CLIENT FOR THE 6 MONTH PERIOD IMMEDIATELY PRIOR TO THE EVENT GIVING RISE TO THE CLAIM.THE PARTIES ACKNOWLEDGE THAT VoicesUK HAS SET ITS PRICES AND ENTERED INTO THIS AGREEMENT IN RELIANCE ON THE LIMITATIONS OF LIABILITY AND DISCLAIMERS OF WARRANTIES AND DAMAGES SET FORTH HEREIN, AND THAT THE SAME FORM A FUNDAMENTAL AND ESSENTIAL BASIS OF THE BARGAIN BETWEEN THE PARTIES. THEY SHALL APPLY EVEN IF THIS AGREEMENT IS FOUND TO HAVE FAILED IN ITS FUNDAMENTAL OR ESSENTIAL PURPOSE OR BEEN FUNDAMENTALLY BREACHED. Indemnity: The Client will indemnify VoicesUK for any expenses VoicesUK may incur resulting from the Client’s violation of this Agreement, including, without limitation, any fines, fees, legal expenses, and labour for investigation and resolution. Amendments to Agreement: VoicesUK may amend this Agreement from time to time. This Agreement cannot otherwise be amended or modified, other than by a change made in writing, dated and executed by the parties. If there is both an executed and a click-wrap version of this Agreement, the executed version shall govern if the terms differ. Notice: All required notices, or notices which may be provided in accordance with this Agreement, shall be in writing and shall be duly provided for if the notice is remitted to its addressee by prepaid courier, registered or certified mail, or e-mail, if to VoicesUK to the address listed on the contact portion of VoicesUK website, and if to the Client to the address set out on its profile. Every notice delivered in the manner provided for herein shall be deemed to have been received: when delivered or if by e-mail the first business day after the date received.